For Felt and Milou (my Lyteltton stockist), and to take to market next weekend. Also, I made a small dent in the stash with these bags in gorgeous fabrics. 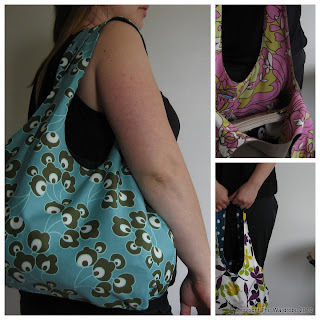 The bag pattern is a free tutorial at Very Purple Person who has allowed this pattern to be used 'for commercial purposes', which is super kind of her. I found it on Mousehouse's blog (thanks Megan). I've put my own stamp on it, adding a cell phone pocket and making some subtle changes to the pattern. Its a great shape and size for everyday. 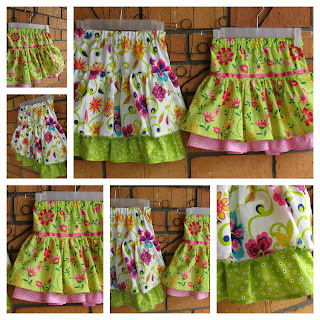 And finally some little girl skirts. If your thinking "I could make that" - you probably could. The tutorial for this is over here. I tinkered somewhat with the directions - mostly to finish the inside to my standard and make the conversion from imperial to metric. The lovely Tanya Whelan agreed that I could run this as a class at Stitch and that went so well we will run it again on the 28th December. I know that seems like a weird time of year, but we figured some people might want to escape the family for half a day (maybe with a friend), have cups of coffee and a bit of a group sewing session. Last time was pretty relaxed and some ladies even got two made - I had a range of sewers from really skilled to just starting out, and everyone coped well. It has to be said, once you get your head around the instructions these skirts are addictive! I'm posting a giveaway later on tonight, so if you like those zipped purses stay tuned. Sorry that was a ramble after all. Hope all is well in your world. 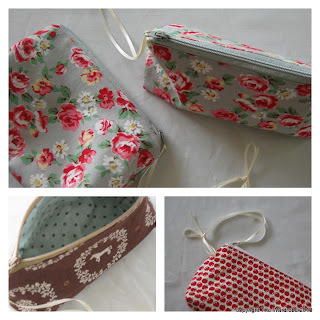 Love those little make-up pouches! Ill be sure to pop back in for your giveaway! 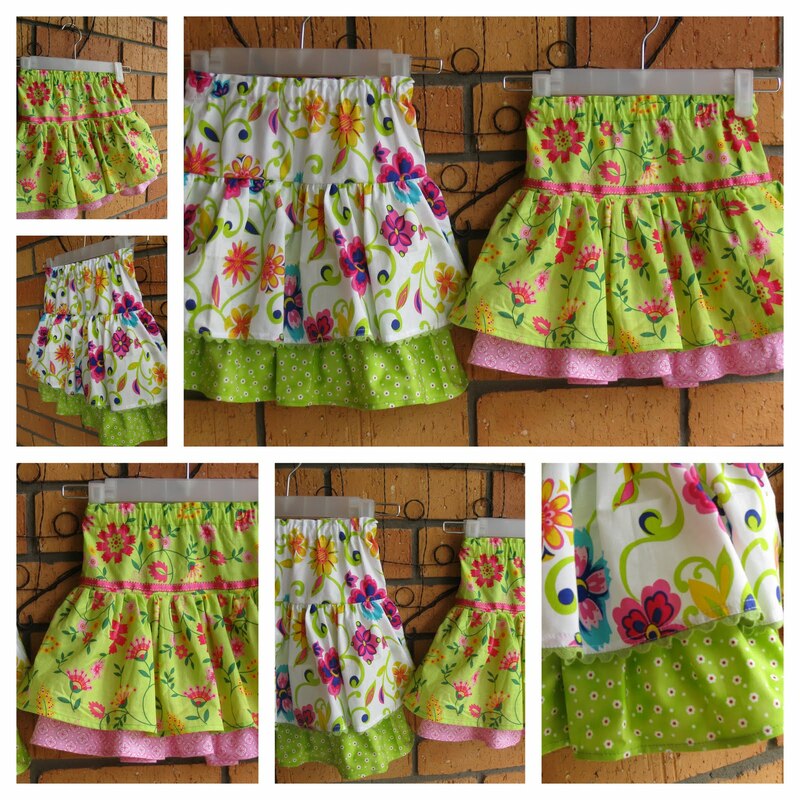 Those skirts are so adorable!